Engineering Analysis – LightGrid LLC. Your network is the backbone of your enterprise, and optimum performance, efficiency, and stability are essential for this critical asset to ensure uninterrupted operations. As technology continues to advance and further integrate into your daily work processes, so does the demand on your network. Organizational growth and mission expansion can quickly outpace network capacity resulting in reduced productivity. 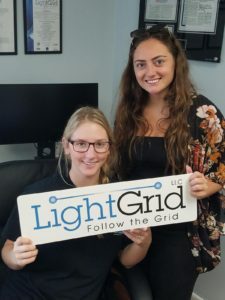 At LightGrid, our experienced engineering staff follows a disciplined systems engineering approach to deliver high performance, scalable, stabile, and resilient networks so that you can continue to grow without constraint. In support of the Joint Information Environment (JIE), LightGrid developed the DoD Enterprise Wide Area Network (WAN) architecture. The Multiprotocol Label Switching (MPLS)-based JIE solution architecture introduced Black Transport as a foundational enterprise capability to protect information confidentiality and integrity while significantly improving resource efficiency through network virtualization and technology integration. LightGrid is evolving the Defense Information Systems Agency (DISA) Defense Information System Network (DISN) Secret IP Router Network (SIPRNet). We developed effective strategies to eliminate end-of-life equipment, consolidate deployed network infrastructure, and phase out legacy technologies such as serial circuits and disparate link encryption. In accordance with DoD CIO guidance and priorities for network efficiencies, our solution provides an effective path for the migration of DoD users to the Secret Joint Regional Security Stack (S-JRSS). LightGrid developed innovative enterprise-wide solutions to improve DISN network efficiency and utilization such as the DISN IP network Virtual Interface (VI). VI allows a single physical interface to logically support many DISN users with access to multiple different DISN service offerings. 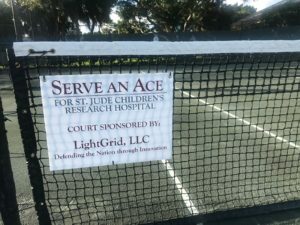 LightGrid performed a comprehensive engineering study to develop strategies to improve DISN service delivery through network self-healing capabilities. The study recommended solutions to ensure that any single network failure or scheduled maintenance activity will not adversely affect DISN user experience. Study areas included redundancy, diversity, and survivability of DISN on-fiber and off-fiber facilities, fiber paths, optical transport, core switching, service edge, and access. LightGrid successfully completed the design and testing of the next generation Quality of Service (QoS) capability for DISN IP networks. Our QoS solution allows voice, video, and data services to converge on a shared IP network infrastructure as well as simultaneously provide prioritization and service assurance among unclassified and encrypted classified information flows. This capability enables customer evolution from point-to-point Dedicated Service to Ethernet/IP based services and supports special mission user requirements to provide assured bandwidth for critical traffic. 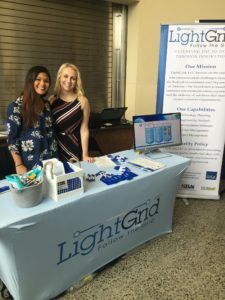 LightGrid developed and tested solutions to enable native Internet Protocol version 6 (IPv6) reachability to DoD public-facing applications and services through the DISN Internet Access Points (IAPs). 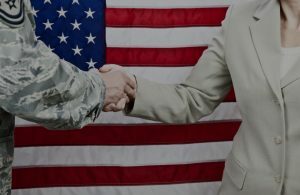 In support of the Defense Health Agency (DHA) Medical Community of Interest (Med-COI), LightGrid engineered a virtual private network (VPN) solution to enable information sharing with the Department of Veterans Affairs while segmenting and protecting DoD health IT systems. LightGrid staff provided leadership for the DISA Global Information Grid Bandwidth Expansion (GIG-BE) Program network equipment evaluation, selection, and implementation, acting as team lead for the Optical Transport System (OTS), Optical Digital Cross Connect (ODXC), and Internet Protocol (IP) Router technology areas as well as overall management for laboratory test and evaluation of all GIG-BE technologies.